The Open House events are free. The food and drink are free. All you have to do is RSVP here. And bring your friends. The Open House is an opportunity to see APL machines in operation and discuss your potential projects to use them. We always have a PP30 Cogen-CS CHP installation up and running for the show, as well as other varying machinery throughout the year. 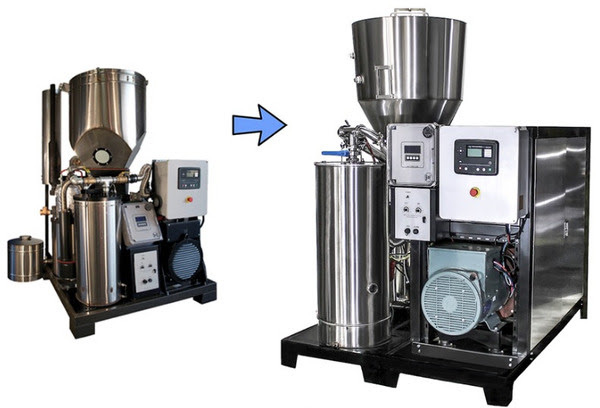 The “varying machinery” for this event will be a very interesting zeolite based adsorption chilling system made by Fahrenheit in Germany, which we’re powering with the hot water output of the PP30. The new high effiency CHP solution on the PP30 makes this heat based chilling system newly interesting as an extension to the Power Pallet core electricity and heat service.APL staff will be onsite to answer questions throughout the event, as well as available for longer discussions pre and post event. For those who have been debating a visit to have a larger strategic partnership discussion, the Open House is a good excuse to finally do it. We do encourage longer stays around Open House days so we can schedule one-on-one extended meetings to discuss more involved projects or partnerships. 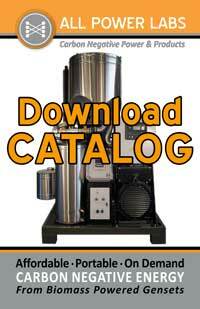 Please write us separately at sales@allpowerlabs.com if you want to arrange a dedicated discussion. 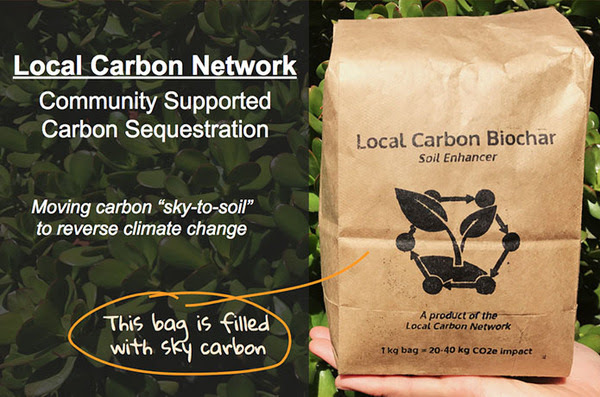 We’re expanding the monthly Open House event also host Local Carbon Network (LCN) activities. Over time we plan to grow this into a monthly meet up we’re calling the “Local Carbon Farmer’s Market”. This will be a gathering where you can pick up your Local Carbon Biochar, learn how to use it, and explore the related soils and climate management opportunities with other enthusiasts. Each month we’ll have talks, workshops and other info sharing will help you to make a direct impact on carbon drawdown with your own hands and soil. through a collaboration of People, Plants and Machines. For an abundance of clarity, the Local Carbon Farmers’ Market activities and PP30 Cogen-CS machinery demonstrations will happen at the same Open House. This is one event, with two related but different tracks of activities. In the future we may need to divide them into 2 separate events, but for now, it is under one tent. The project is an unusual collaboration between plants, people and machines. 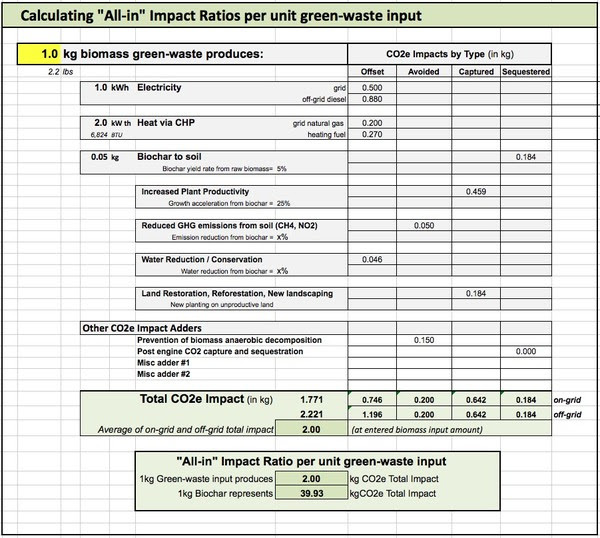 The plants are green-waste, which recently captured atmospheric carbon via photosynthesis, but are now a disposal problem. The machines take this “waste” and make energy and carbon biochar for soil out of it. And the people put it in the ground for improved plant growth, water conservation, and long term sequestration of carbon. Taken together, good things happen locally across Energy, Food and Water systems– which makes good things happen globally for climate by “refossilizing” sky carbon back underground. 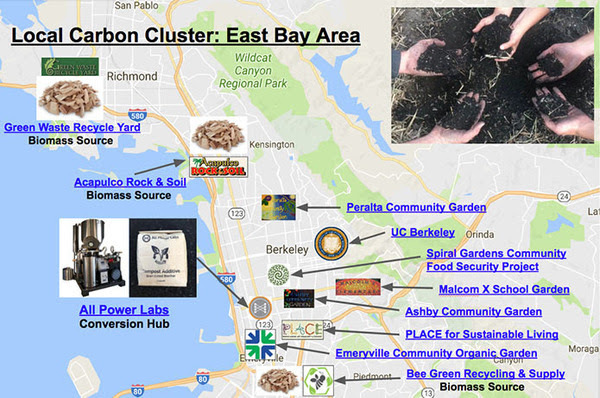 Success in this initial East Bay capital campaign fund and deployment will justify follow-on campaigns and deployments dedicated to other Local Carbon Clusters. 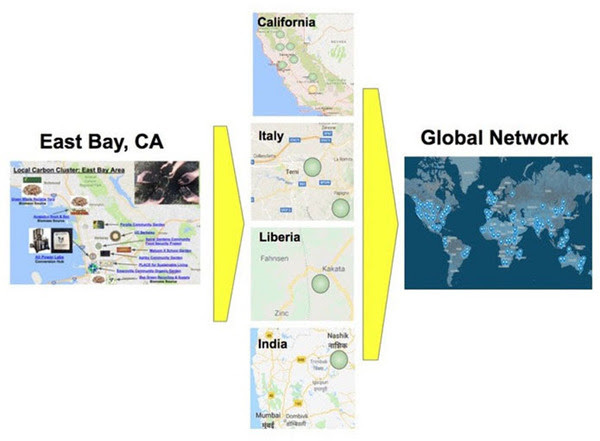 APL intends to followup on the East Bay campaign with additional Local Carbon Clusters in California, Italy, Liberia and India. These areas will be next as projects can build on business and service logistics already established by All Power Labs in these markets, and demonstration projects already operated to success. We also invite you to consider a Local Carbon Cluster in your area, and talk with us about how to make it happen. We hope you will join us in setting this very accessible trim tab against the unrelenting fossil CO2 flow.